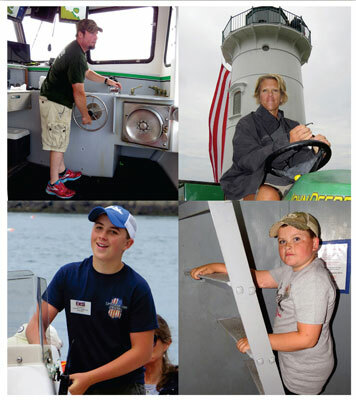 (Clockwise) Nick, Belinda, Ryan and Jackson Lemieux are dedicated volunteers at Little River Lighthouse, Cutler, Maine. The Lemieux family of ALF’s Friends of Little River Lighthouse were honored with ALF Len Hadley Volunteer Awards during the American Lighthouse Foundation’s annual Lighthouse Gala, which was held at the Nonantum Resort in Kennebunkport, Maine, on April 29, 2018. As with all light stations, there is never a shortage of tasks to tackle. When that light station is located on an island and operates as an overnight stay program – well, the work logistics are even more challenging, and often, urgent in nature. A good team – or in this particular case at Little River Lighthouse, a dedicated family, can certainly help with easing the burdens associated with special island projects and general maintenance. Belinda Lemieux’s father – Terry Rowden, was a Coast Guard keeper at Little River Light from 1968 to 1970. Today, Terry serves as the island’s caretaker. Nick, Belinda, Ryan and Jackson Lemieux have a strong family bond to Little River Lighthouse. Belinda’s father – Terry Rowden, was a U.S. Coast Guard keeper at the light station from 1968 to 1970. 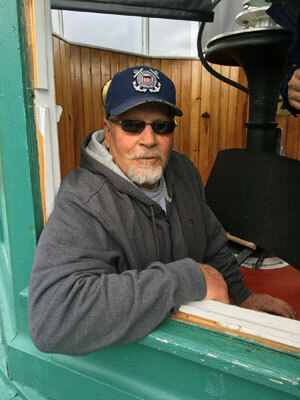 Today, Terry serves as the island caretaker for ALF’s Friends of Little River Lighthouse. As you can image, Terry can use as many extra helping hands as possible, and when the chips are down, he can always rely on Nick, Belinda, Ryan and Jackson. From mowing the lawn and cleaning the station buildings to volunteering at open houses and helping move appliances or equipment on and off the island, the Lemieux family is always there when needed. Nick, a Downeast lobsterman who operates out of Cutler, has also generously transported many visitors to and from the island during special lighthouse events. When he does, you can count on Ryan or Jackson being aboard to help their father. For their outstanding contributions year in and year out, the Friends of Little River Lighthouse are proud to honor Nick, Belinda, Ryan and Jackson Lemieux with 2018 Len Hadley Volunteer Awards! 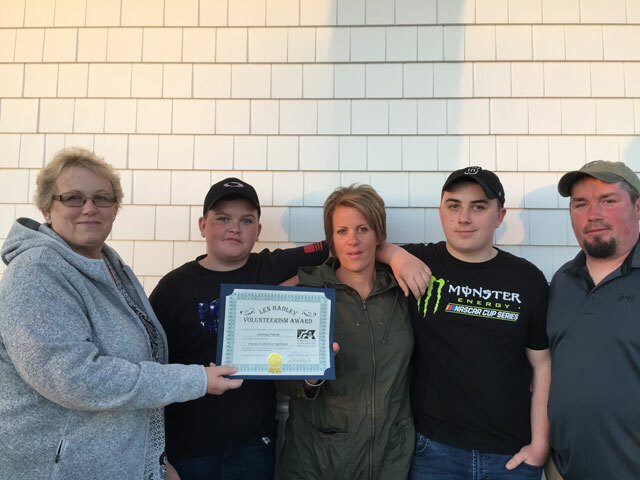 Friends of Little River Lighthouse chairperson Cynthia Rowden (left) presents the Lemieux family – Jackson, Belinda, Ryan and Nick, with an ALF Len Hadley Volunteer Award for their dedicated efforts at Little River Light Station. 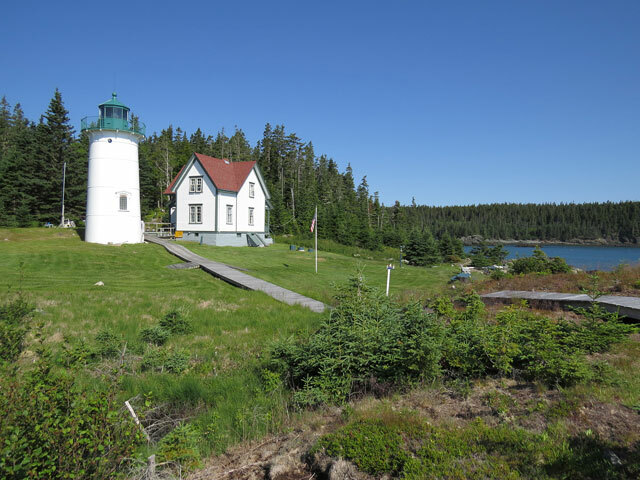 Little River Light Station – a Downeast Maine paradise.